The SoulCycle spinning studio has won devoted followers. SoulCycle will finally open in Ardmore on May 27. 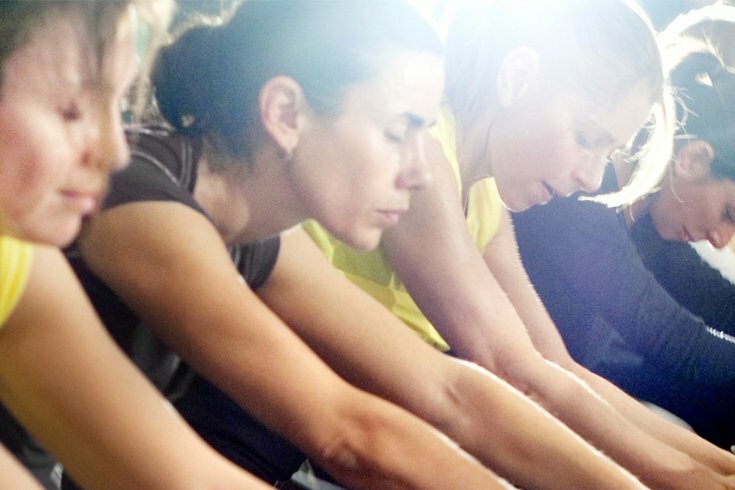 The indoor spinning studios with a cult following offer 45-minute classes that aim at transforming mind, body and soul. The classes, led by motivational instructors, use dance and music to amplify the cycling workouts. Over Memorial Day weekend find classes in Ardmore as early as 6 a.m. and as late as 6:30 p.m. Sign-ups will open at noon on May 23. The cost for Ardmore classes has not yet been revealed. Attendees should arrive early to sign in and grab cycling shoes that clip onto the bike. For your first class, shoe rental is free but afterward, will be $3. For drivers, SoulCycle Ardmore has complimentary parking in the garage directly across from the studio on Coulter Avenue. The studio will feature 58 bikes and a retail section.